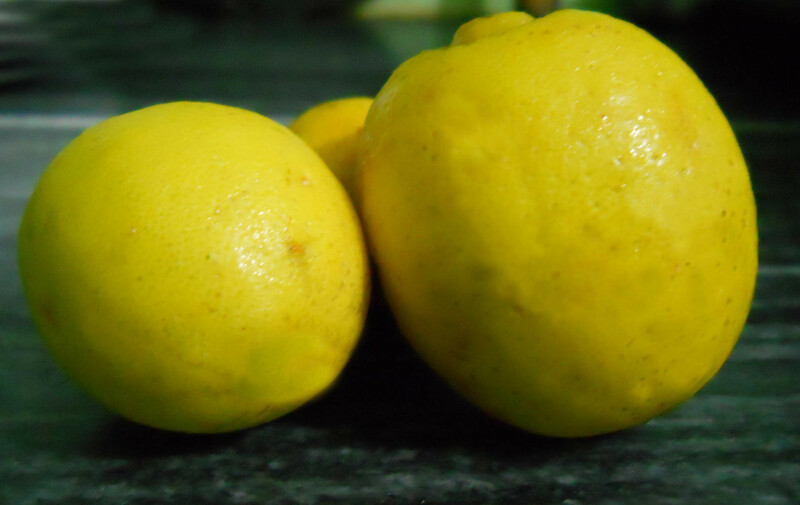 Lemon juice is a popular treatment for acne, blemishes, and oily skin. You can mix fresh lemon juice with water to create a toner that will tighten large pores and reduce the amount of sebum produced by your face. The citrus fruit also works as an antibacterial and antioxidant, meaning that it protects the skin from free radical damage, repairs cells, and speeds up new skin generation. In short, lemon works wonders, resulting in beautiful, glowing skin. Boosts collagen production. Promotes skin elasticity. Helps treat acne and pimples. Shrinks and tightens pores. Brightens dull skin. Helps reduce the visibility of dark spots, acne scars, blemishes, and freckles. Evens out skin discolorations. Slows the appearance of fine lines and fights wrinkles. Speeds up the production of new cells. 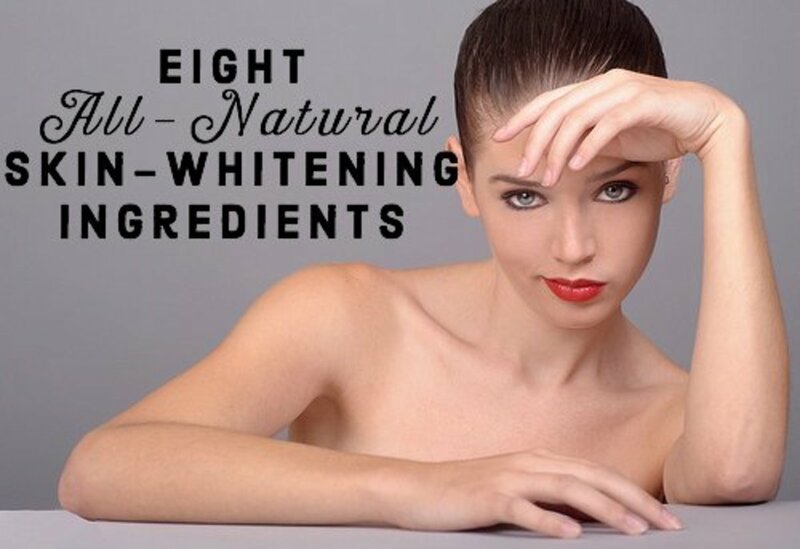 Lightens skin tone. Scours off dead cells on skin's surface and within pores. Hydrates and moisturizes. Soothes and heals dry skin. Strengthens skin's natural antioxidant system. Bolsters skin's UV defence. Improves skin hydration and photo-protection. Promotes skin elasticity. Fights against free radicals, which cause premature aging. Increases the level of superficial lipids in skin. Green tea is full of antioxidants and phytochemicals that will keep the wrinkles at bay. Lemon juice coupled with green tea will banish fine lines and prevent your skin from aging prematurely. Turmeric has anti-inflammatory and antioxidant properties that will protect skin from wrinkles. Provides antioxidant protection. Nourishes skin with vitamins and minerals. Fights wrinkles and slows the appearance of fine lines. Contains anti-cancer properties that guard skin against cancerous cells. Kills acne-causing bacteria. Protects the skin from UV damage. Has medicinal, healing, and anti-inflammatory properties. Will save your skin from many inflammatory conditions, including acne, eczema, rosacea, and others. Offers antioxidant protection. Lightens age spots, freckles, acne scars, dark marks, and discolorations. It's unlikely that the turmeric will stain your skin since we're adding only a pinch. But if it does stain your face yellow, use a sugar facial scrub to remove the stain. It's perfectly fine to skip turmeric if you don't have any. Coating your face with more than one layer simply softens and nourishes your face and lets the mask sink penetrate deeper into your pores. If you're fine with one coat, store the mixture in the refrigerator for future use. Gather your hair away from your face into a ponytail. To protect your hairline from the mask, wear a headband. Apply the lemon face mask to your face with a cotton ball. Let it dry for three minutes. When the mask is dry, use another cotton ball to pat on another layer of the mixture and let dry for three minutes. Repeat the procedure until all of the face mask mixture is done. Let the final coat of the face mask settle for 10 minutes. When the time is up, wash the mask off with cool water. Pat your face dry with a towel. 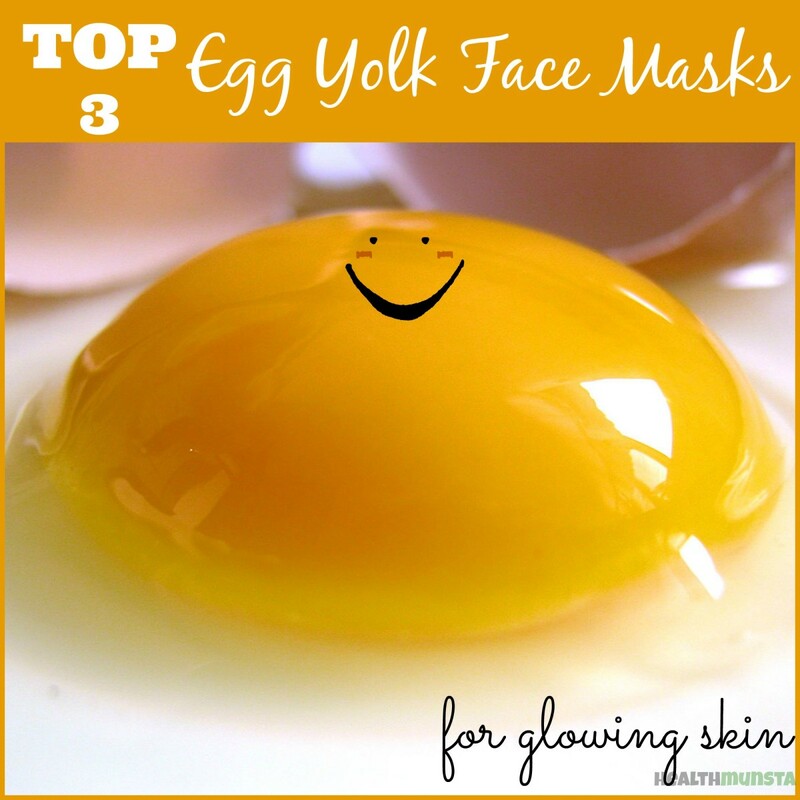 If you have oily, acne-prone skin, lemon juice and egg white is just what you need. Egg whites have long been used for tightening skin and shrinking large pores, which reduces the amount of sebum on your face. 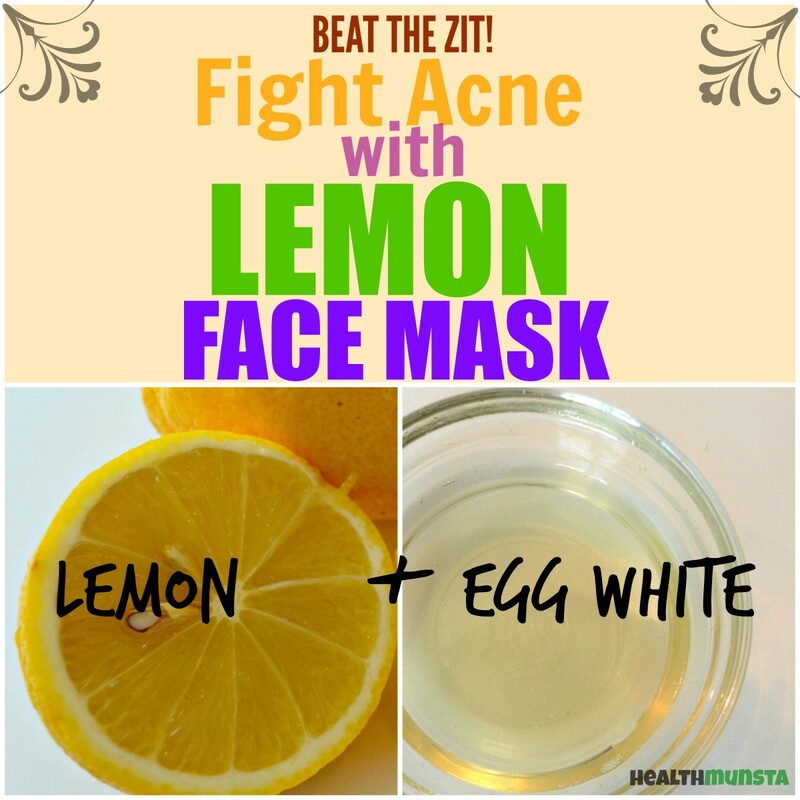 The egg white will also create a pH balance that will keep the lemon juice from irritating the acne on your face. Contains vitamins and minerals that nourish skin. Provides protein, which protects skin from free radical damage. 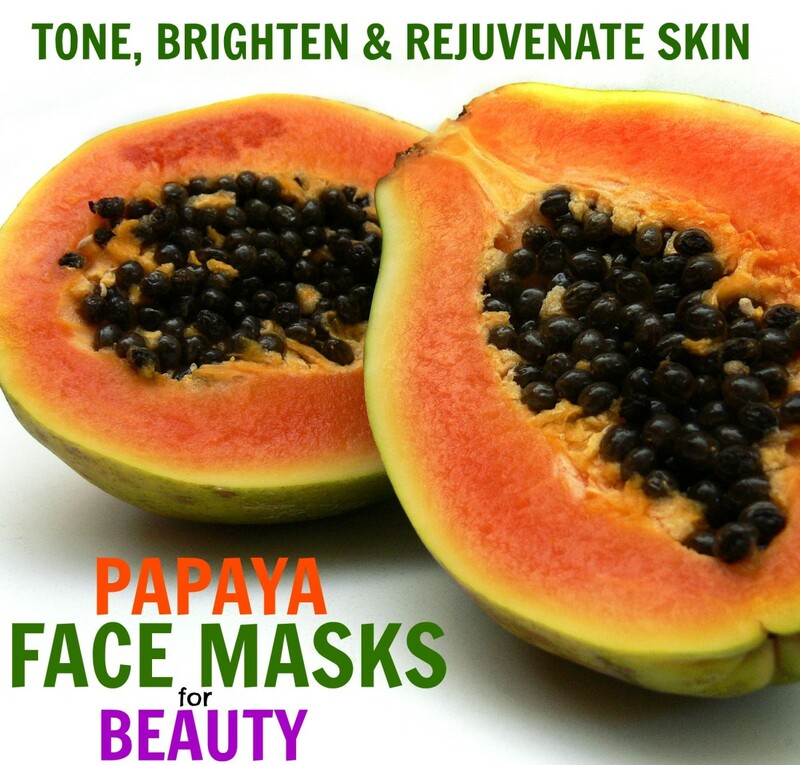 Reduces oiliness in skin. Fights acne. Tightens and shrinks large pores. Lifts sagging skin. If you have severe and inflamed acne, 1/2 teaspoon is enough for your face mask as a lot of lemon juice can irritate and burn skin. If you've got mild acne, 1 teaspoon will help clear the pimples. Excess face mask mixture can be stored in the refrigerator for up to one week. If it starts smelling funky though, don't use it anymore and toss it in the trash. If at all the face mask starts burning your face severely, quickly rinse your face with cold water and apply honey to cool down any redness and burning sensation. In a small mixing bowl, whisk the egg white until frothy. Stir in the freshly squeezed lemon juice. Gently massage the face mask onto your clean face with circular motions. Let it dry for 10 to 15 minutes. When the time is up, rinse the mask off with tepid water. Pat your face dry with a towel. 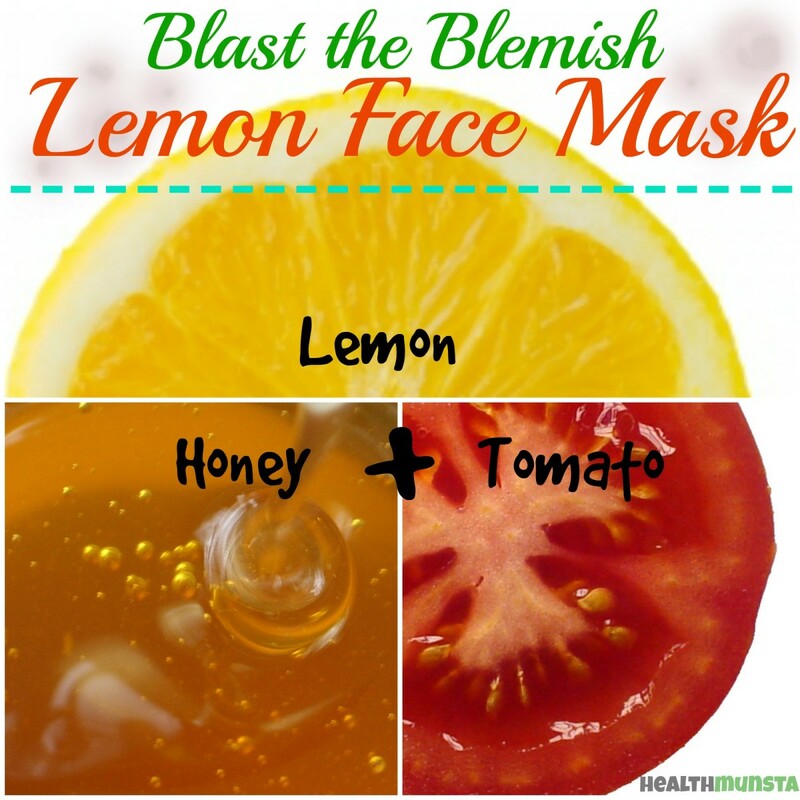 This anti-blemish face mask comprises lemon, honey, and tomato. These three kitchen ingredients are some of the best for skin-lightening and evening out skin discolorations. Get ready for smooth, freckle-free skin. Is a humectant, meaning it preserves moisture in skin cells. Contains antiseptic and antibacterial properties that kill acne-causing bacteria. Lightens skin. Soothes inflamed acne. Reduces the visibility of blemishes, dark spots, and freckles. Evens out skin discolorations. Is rich in antioxidants, which combats free radicals that cause premature aging. Lightens blemishes and evens out skin discolorations. Promotes youthful, radiant skin. Do facial steaming beforehand to open up pores and allow the face mask to penetrate. You can store excess face mask mixture in your refrigerator for up to a week. If it starts giving off a bad smell, trash it immediately. Wear an old t-shirt to prevent the face mask from dripping onto your clothes. Combine all of the ingredients thoroughly in a small mixing bowl. 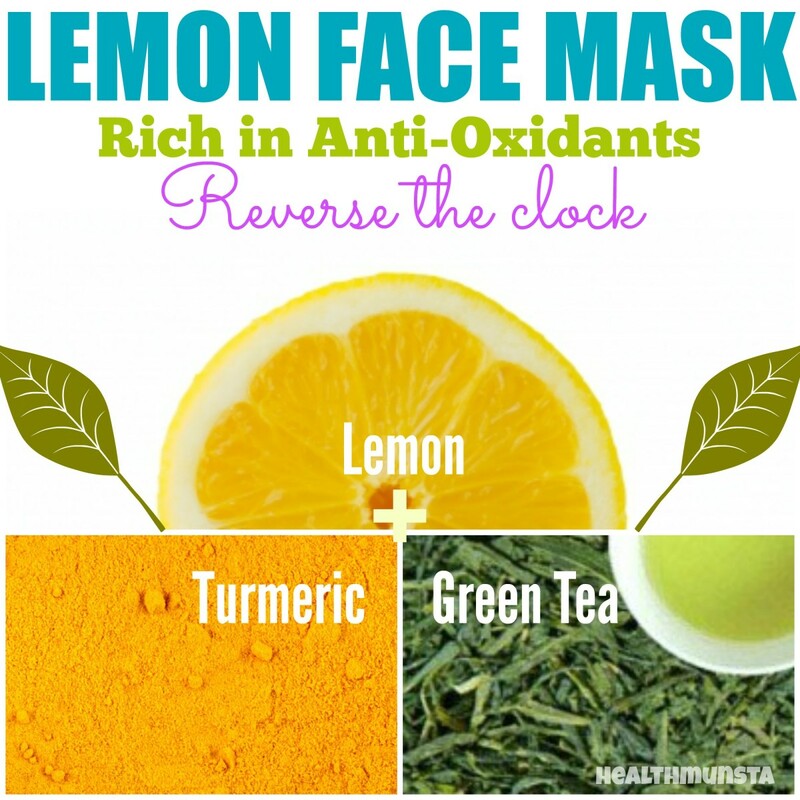 Use clean fingertips to apply the lemon face mask onto your face. Let the mask dry for about 10 minutes. When the time is up, use warm water to loosen the mask before rinsing with cool water. Pat your face dry with a soft clean towel. those things cant have impacts on face in case you have stopped to apply? Hi. Thanks for mask recipe,but this days,all of the eggs have hormones and it makes the face hairy. I love natural ingredients beauty products, you always know what is in them and can avoid things you are allergic to! Omg the Lemon and Egg white one was so good! I'm really impressed! Thx! lemon can directly apply on face? Thanks for this article, I'm trying the turmeric facial recipe this month. But I might use water for the mixture instead of milk. Has anyone actually tried any of these? What was the out come? Did any of these remove facial hair? Super easy yet affective! These natrual facials are amazing! Thanks! What works great for my skin is a mask made of freshly squeezed organic lemon juice and A. Vogel green clay. The clay is a green powder sold in a box at health food stores for $ 10.00. It lifts my whole face, cleans the pores out, heals any blemishes, exfoliates. It's truly amazing and really cheap and easy. Only two ingredients mixed in a medium size glass bowl, one whole organic lemon is freshly squeezed out, I add the green clay, mix well with my finger and apply all over my cleansed face. 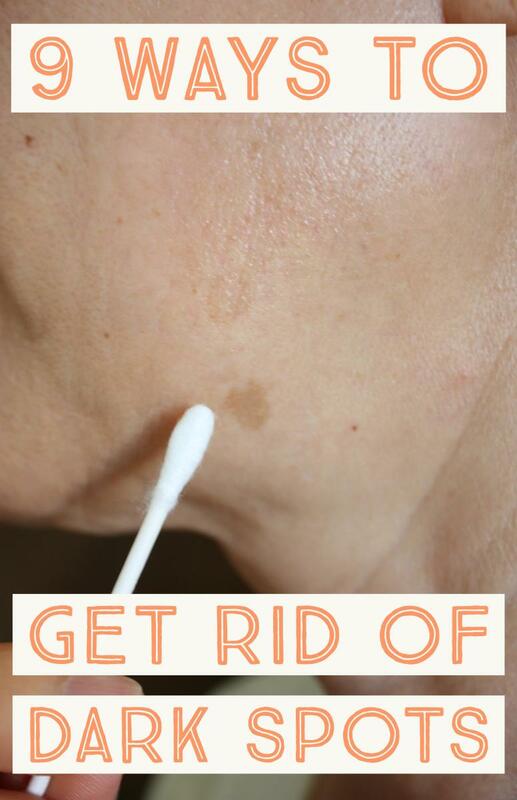 It's also great to put on pimples, if you have them on your chest or back, not just the face. How long do the scrubs last? Can you make a larger batch & it keep in the fridge for a few days? Thanks! Beautifully done site! Going to apply these 3 masks for my skin and i am waiting for your next useful Hub. Appreciated !! Loved this post, and all of the colorful info graphics! Definitely going to try these out. 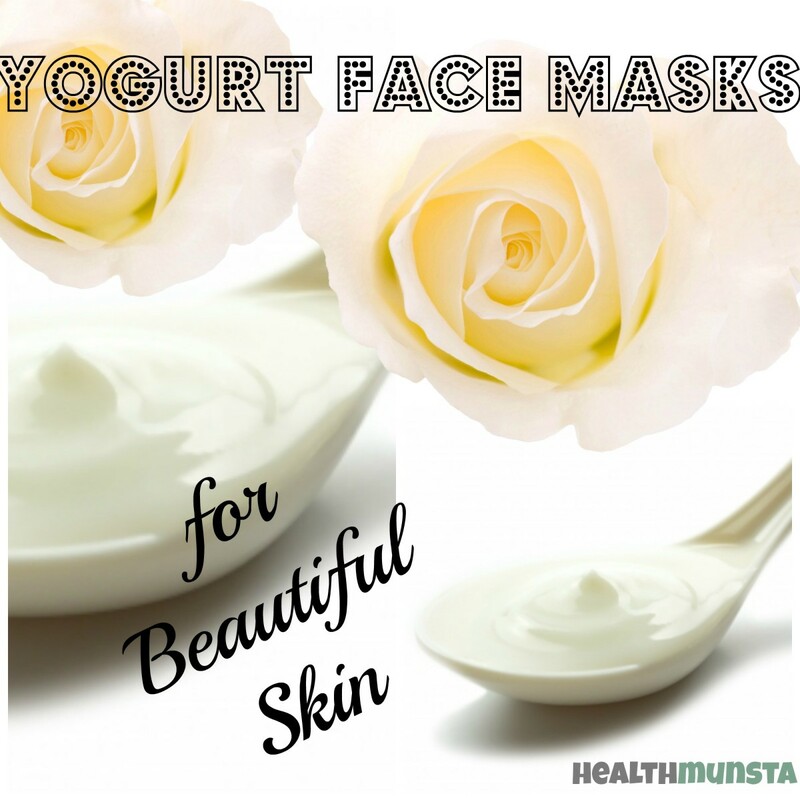 How often should you use these masks? I am so glad I found this place, my face is in a deep need of help. Thanks! I have very oily skin and have tried a bunch of masks in the past, but I will have to try making my own sometime with some of the ingredients you suggested! This is full of information. I didn't know you could use green tea for a mask. I will try it. definitely doing this!! Thank you for all the information - I already eat a lot of lemon, why not use it for my skin too :) Thanks again! I am so trying this. My face needs a lift! I love this hub! written well and very interesting. I will be trying these. Thank you! voted up and pinned. 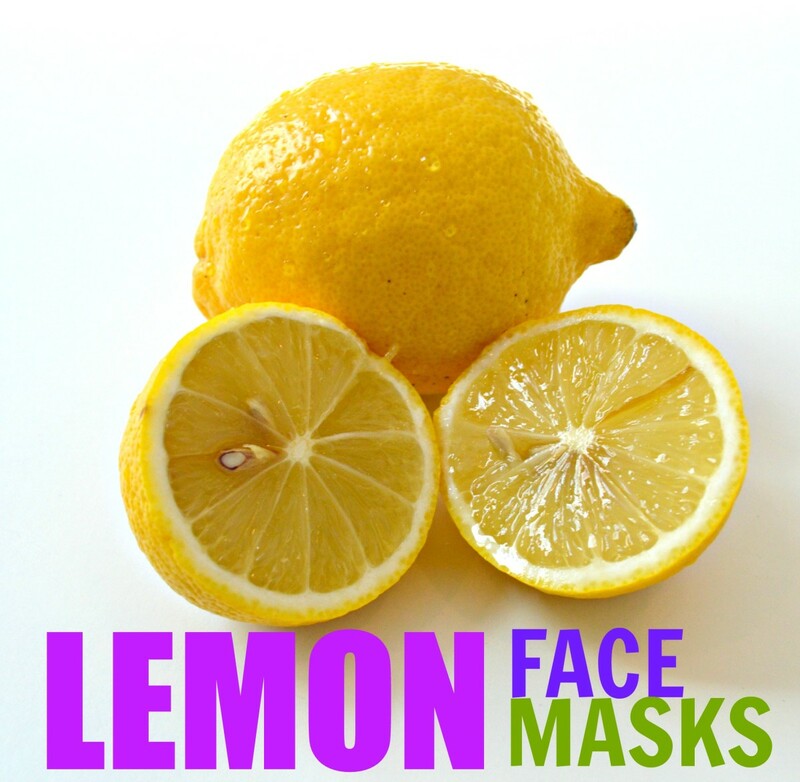 Congrats on your Hub of the Day award for this useful look at making and using lemon face masks. Thanks, too! Love natural solutions! Pinned to my Health board. Will be making this mask today! 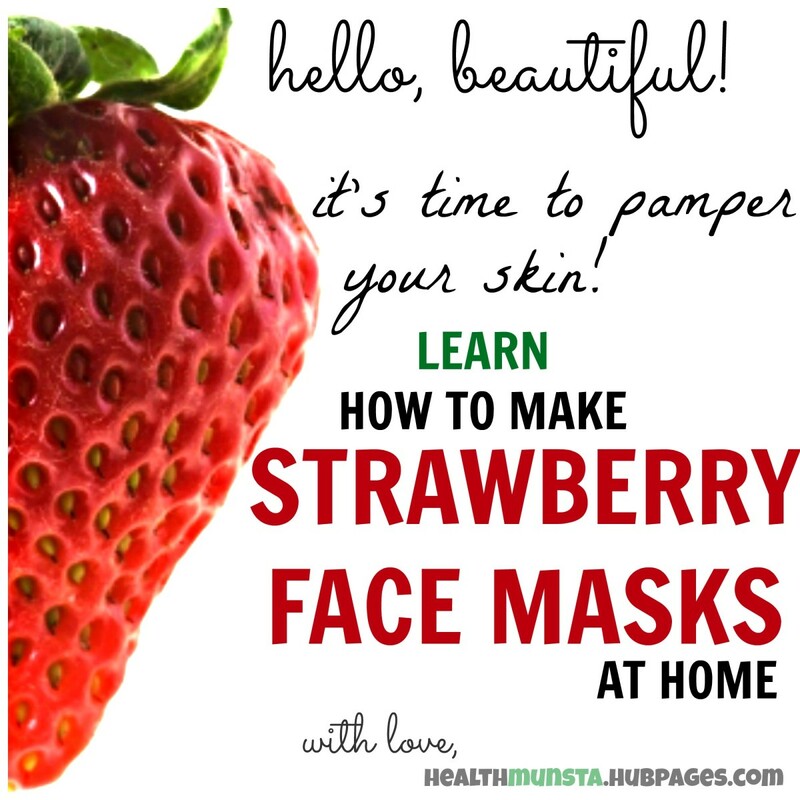 These DIY facials sound awesome. A very attractive hub!